Booming businesses equal a booming economy, but none of it would be possible without the workforce behind it. The safety and general well-being of the workers should not be taken for granted. Regardless of the workspace and the surrounding environment, it is always recommended to invest in workwear that meets a higher standard of safety. Proper workwear can offer substantial business benefits. Let’s investigate! One of the most valuable and essential reasons why you should purchase proper workwear is the protection of each worker. 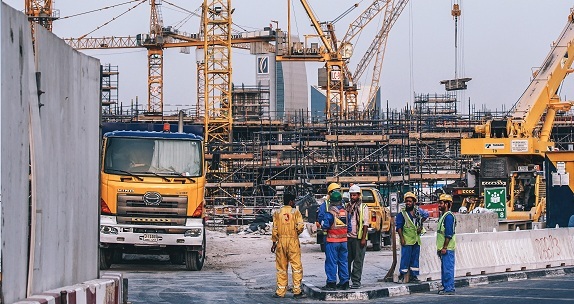 If the workers are correctly protected for whatever job they are carrying out, the potential number of work-related accidents will decrease, thus leaving little or no space for interruptions during the day to day working routine. Simply put, you will be able to ensure a steady work flow which will, in turn, make your business more productive and reliable. Your workforce is your biggest and most crucial asset: branding uniforms are an easy and cost-effective form of advertising. Get your brand identity out in the open by creating an image of success, trust, and work ethics. This way, you’ll be able to turn your workers into brand ambassadors and use that for allowing your name to be seen and easily recognized. Well-designed and high-quality workwear can communicate to your employees that you care about their well-being, their comfort and also, their presentable appearance. If you succeed in making your staff members feel well dressed, it will boost productivity and work morale and they will accomplish their responsibilities with a sense of pride and accountability. When it comes to building a relationship with the customers, the first impression is of utmost importance. When interacting with the customers, it is very important for them to be able to easily identify the staff. There are many stores which provide the option to buy workwear online or from a physical store and luckily, there are models for every occupation and many of them combine fashion and function. Finally, clothes that don’t fit, whether it’s protective clothing or just a uniform, won’t be able to serve the purpose they’re intended for properly. That being said, when you buy workwear online or from physical stores, mind the availability of different sizes.